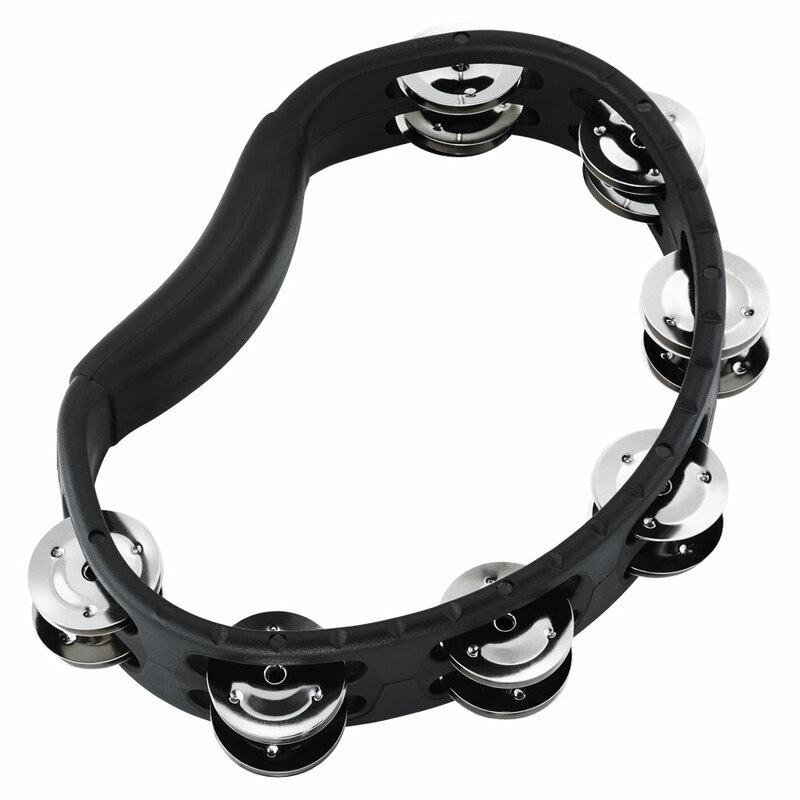 MEINL Percussuion Headliner Series Hand Held ABS Tambourine Black with 2 rows of steel jingles for a cutting sound. Made from sturdy ABS plastic, the Headliner® Series ABS Tambourine from MEINL is lightweight, comfortable to hold, and built to endure. Nickelsilver plated steel jingles cut with bright, shimmering sounds, adding the right amount of accent in virtually any style of music.